We are thankful to be having a feast today, complete with a Celebration Roast, that is entirely cruelty free. (Photos to follow!) Now THAT is truly NOM. ← Granola – By Request! 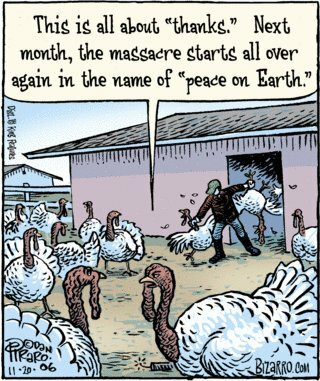 Having a truly peaceful Thanksgiving is something to be thankful for. It’s wonderful to think of all those vegan holiday potlucks happening around the world right now.